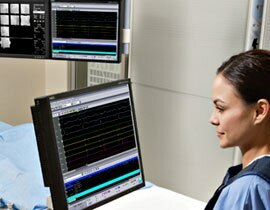 Our suite of electrophysiology (EP) products is designed to empower critical thinking with solutions that help you focus on the patient, not the process. Get clear data delivered seamlessly. Enhanced signal quality. Intuitive controls at your fingertips. And signal-processing algorithms that can help lead to diagnosis and treatment of even the most difficult cardiac conditions. CardioLab* provides efficient information integration to help drive clinical throughput in high-speed, high-volume labs. See how our integrated clinical and engineering technology is designed to address your EP needs and to help reduce the distractions of a hospital environment. GE Healthcare advocates for the timely patient access to medically appropriate, high quality imaging services, provided by knowledgeable and skilled providers of care. We recognize the significant impact that reimbursement policies can have on you and your practice and strive to provide accurate and reliable information to help you navigate the reimbursement process. Visit GE Healthcare's Reimbursement Information to access advocacy information, Medicare comment letters, Customer Advisories and more.